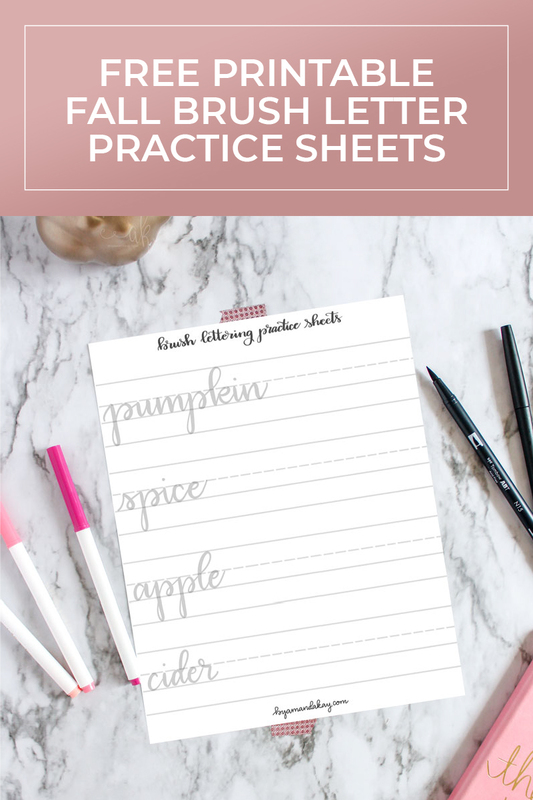 Brush up on your hand lettering skills with these Fall lettering practice sheets. 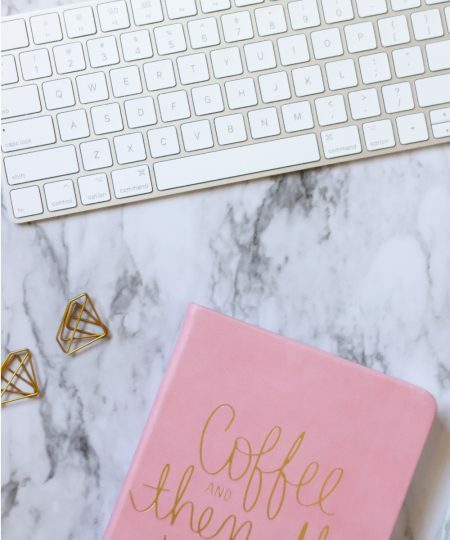 These free printables are a great and inexpensive way to practice every day! 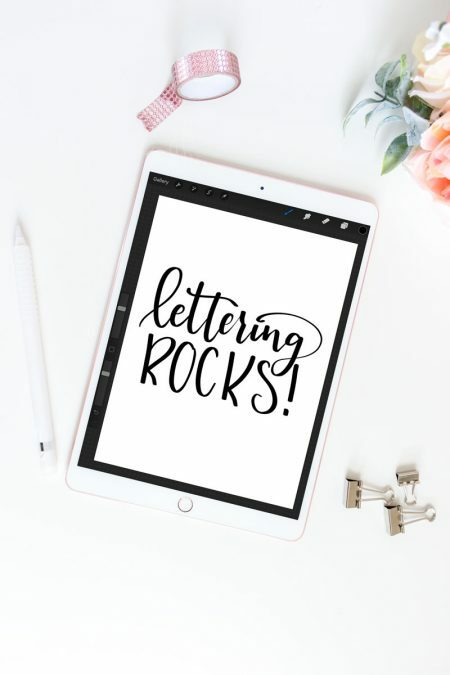 Practicing up on your brush lettering? 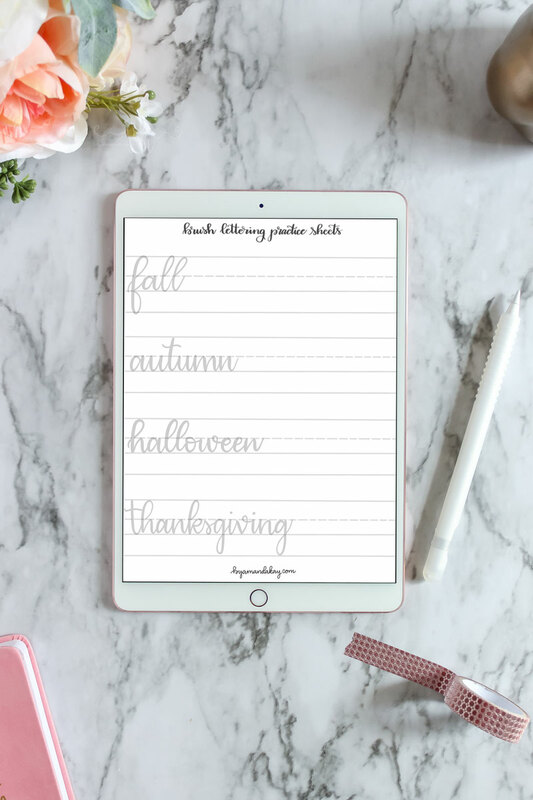 It’s easy to find printable letter practice sheets, but what about putting those letters together for words? 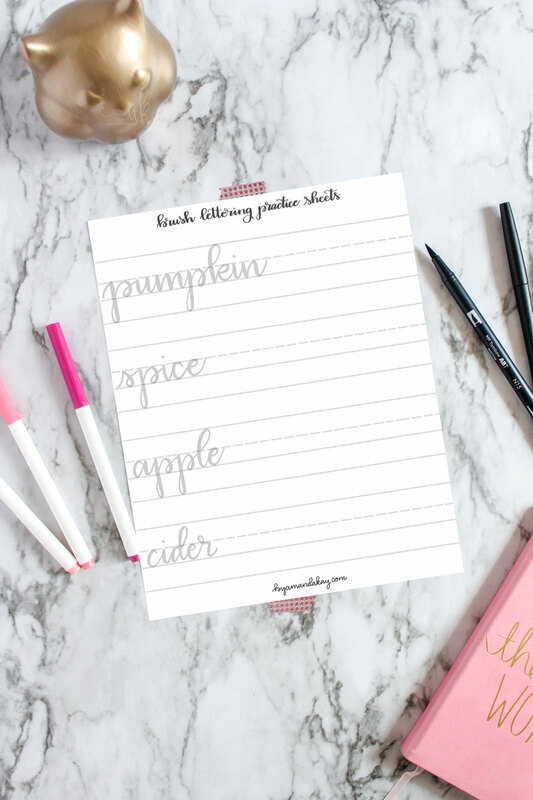 These Fall lettering practice sheets are so fun because you can practice writing these popular words for the season! Those phrases like “sweater weather”, “pumpkin spice” or “apple cider” are everywhere! Have fun with them and use the extra blank sheet to practice even more! 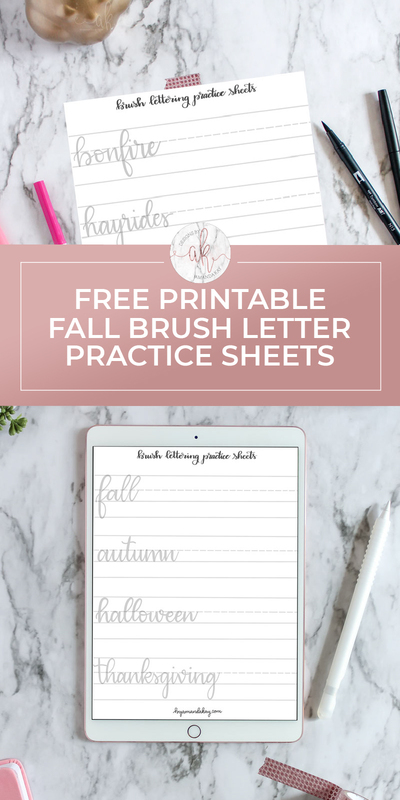 You can download the Fall lettering practice sheets for free! 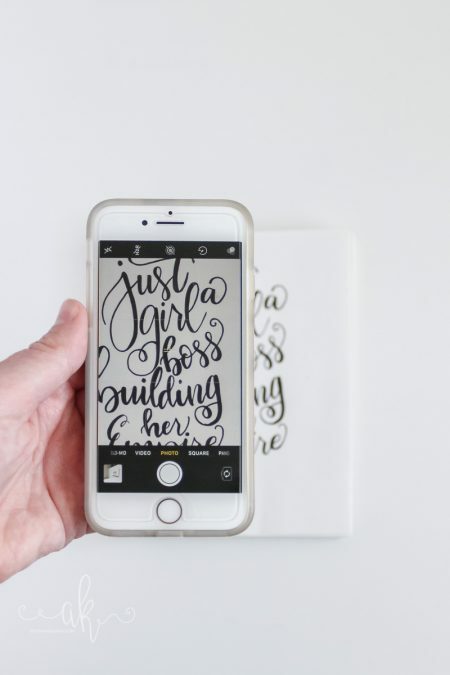 There is a printable PDF version to print out and use a real brush pen with. If you want to get in some iPad practice, there are downloadable images you can upload into Procreate. Either way you choose to practice you can’t go wrong!! 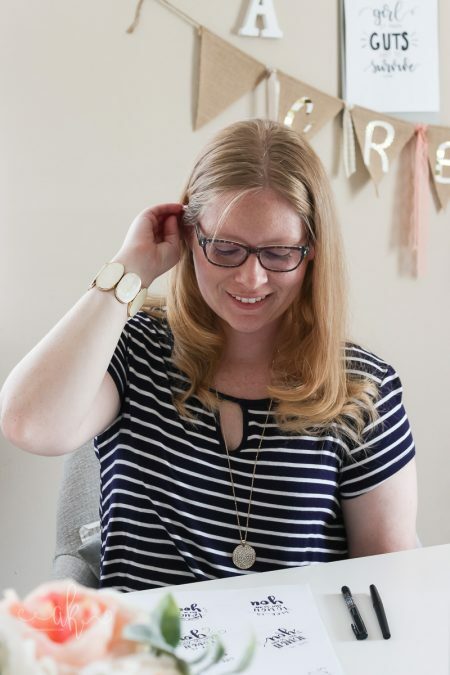 Before you go, be sure to check out my other free printables and lettering tutorials!